Choo-choo! It’s another day of living on the Snowpiercer, an inequitable dystopia in which the vindictive king eating steak at the front of the train waves his hand and knights his wealthy, corrupt minions to attempt to govern us while we eat roach cakes. No?... Okay, it’s just another full day of Senate confirmation hearings. Join the fun! Today, we have a total of four separate hearings beginning at 10 am. First, Rep. Tom Price (R-GA) will sit before the Health, Education, Labor and Pensions committee in an effort to become the secretary for Health and Human Services. His qualifications: investing in medical stocks right before legislation passed that would affect those stocks, which is no doubt seen as a savvy business move by Trump but is seen as a potentially prosecutable act of corruption by everyone else. Also dogged by corruption and sitting before today’s Senate committees are Wilbur Ross, Trump’s pick for Commerce Secretary, whose street moniker is the “King of Bankruptcy,” and Scott Pruitt, the would-be head of the Environmental Protection Agency who thinks Climate Change is a crock and has a history of shady, behind the scenes dealings with the fossil fuel industry. Fun! 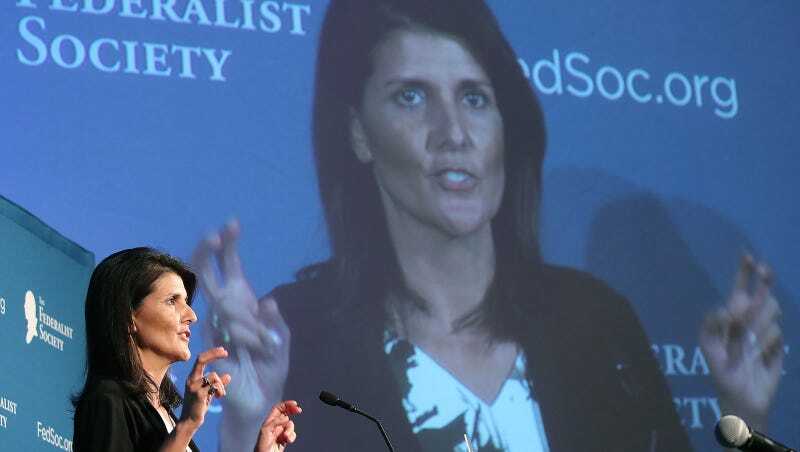 Finally, we will watch South Carolina Governor Nikki Haley sit before the Foreign Relations Committee and attempt to prove why she should hold the job of the US Ambassador to the United Nations, despite having no discernible experience in foreign relations. Please join us as we liveblog this bullet train into the unknown.